Ngamba Island Chimpanzee Sanctuary was founded in 1998 in Uganda by Dr. Jane Goodall and a group of founding trustees. They have 95 acres of natural forest habitat for 48 orphaned chimpanzees that have been rescued from the illegal wildlife trade. 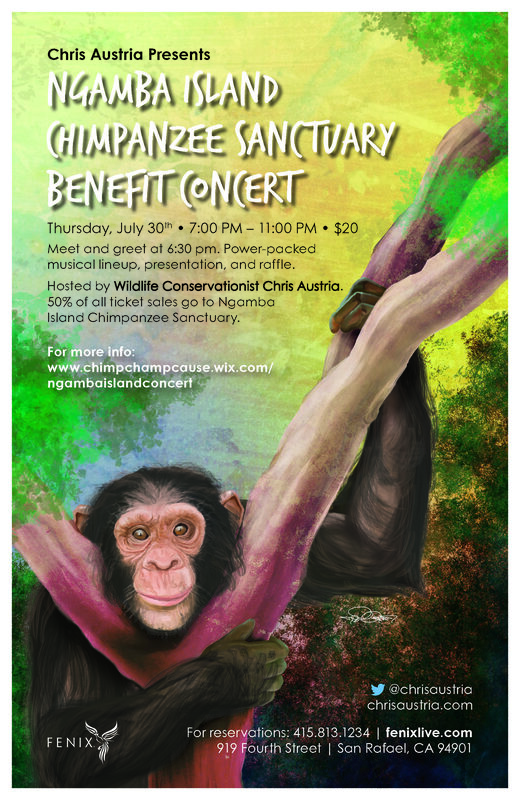 On July 30th at the Fenix Supper Club in San Rafael CA, I will be hosting a concert benefiting ‪#‎NgambaIslandChimpanzeeSanctuary‬. This event will also be streaming live on the Fenix’s website. 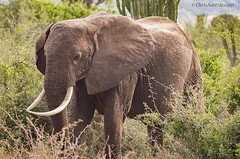 50% of all ticket sales will go to Ngamba Island in #Uganda #EastAfrica. 100% of all raffle proceeds and direct donations will go to our cause. Thank you to the Fenix and all the performers for their generous contributions. Please visit http://chimpchampcause.wix.com/ngambaislandconcert for more information. 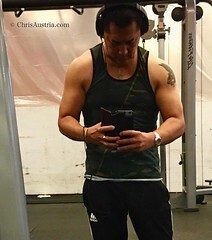 I hope the evening is a real success Chris! Thank you Elizabeth. I hope you are doing well.